I’m a crazy melt and pour soap nut. I’ve always been fond of making these great soaps. 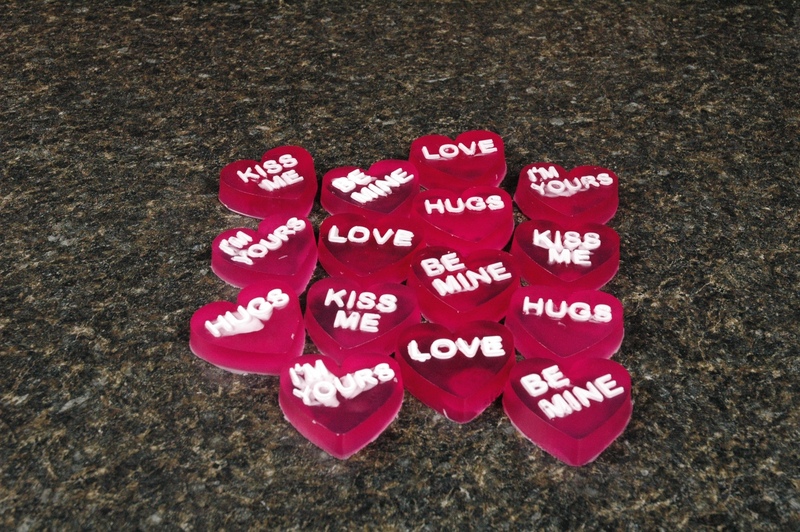 For a finale for Valentine’s Day, I’m going to show off some of the beautiful heart soaps that I made for the holiday. 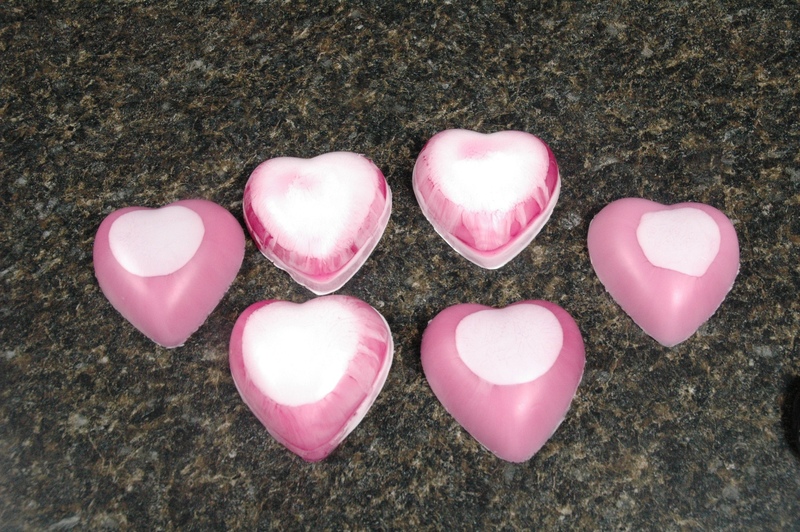 All of these pretty soaps are made with white or transparent melt and pour soap. I used Lavender Fleur as my fragrance. These soaps are just examples of things you can do with melt and pour soap. 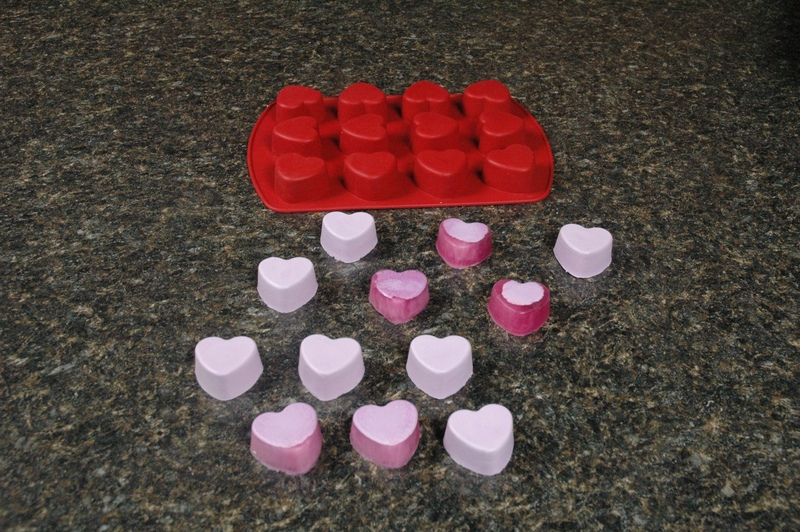 The molds I used are the Conversation Hearts mold, the Large Heart mold, a baking pan lined with plastic wrap with cookie cutters, and two silicone molds we picked up around town. I used the Purple Raspberry Color in the dropper bottle from the Jan. 12, 2009 blog post to color my transparent soap a pretty pink color. I wanted the small hearts to be purple, so I used the Purple Raspberry combined with the Grape Color in the dropper bottle, also from the Jan, 12, 2009 blog post. I had lots of fun! I hope these pictures inspire you. 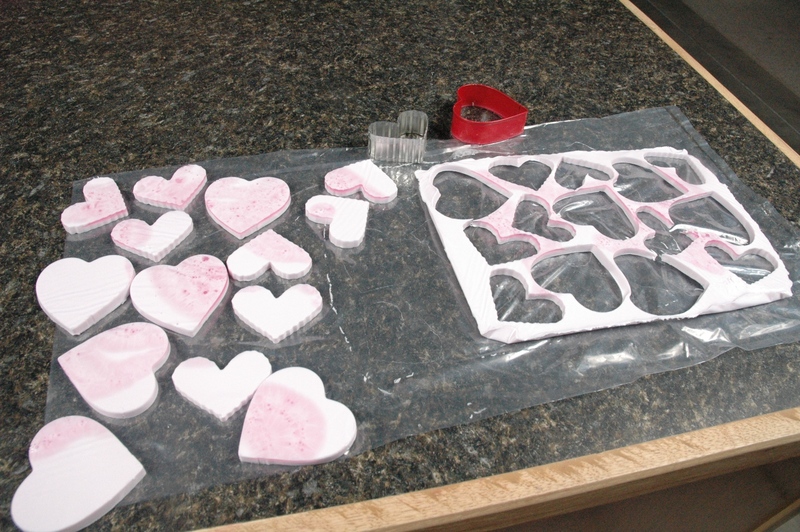 Cut out hearts, remelt the unused areas for a no-waste soap event!